1.6.0 was originally released on 25 September 2015. It is backwards-compatible with the stable 1.4, 1.2 and 1.0 release series. The latest bug-fix release in the 1.6 series is 1.6.4 and was released on 14 April 2016. The 1.6 series has since been superseded by the 1.8 stable release series. See https://gstreamer.freedesktop.org/releases/1.6/ for the latest version of this document. The GStreamer team is proud to announce a new major feature release in the stable 1.x API series of your favourite cross-platform multimedia framework! This release has been in the works for more than a year and is packed with new features, bug fixes and other improvements. Trick mode API for key-frame only fast-forward/fast-reverse playback etc. The infrastructure required for handling stereoscopic and multiview content has been implemented. This includes necessary API additions to the GstVideo library along with additional optional caps fields signifying the multiview layout of one or more video frames. Check out http://cgit.freedesktop.org/gstreamer/gst-plugins-base/tree/docs/design/part-stereo-multiview-video.markdown for the design details. A number of demuxers and decoders were updated to propagate the necessary information if present inside the stream. Unfortunately this is not always the case for random files one pulls off the internet so properties were added to playbin for applications to utilise in order to override how the video frame is interpreted for display or further manipulation. Some 3D elements were also created using GStreamer's OpenGL framework to split and merge 3D streams as well as convert between the numerous packings that are available. These element are glstereosplit, glstereomix and glviewconvert respectively. h264parse will detect SEI FPA (frame packing arrangement) markers, and x264enc will insert them automatically for stereoscopic input or when forced to do so via the new "frame-packing" property. The gst-plugins-bad source tree contains a little 3dvideo demo application for those itching to play around with it. Still to come is integrating the GStreamer support with players and the display subsystems for configuring the output onto 3D displays. Trick modes, that is fast-forward, fast-reverse and normal-speed reverse playback, have been supported in GStreamer for a long time, but the 1.6 release adds improved support for it in various plugins as well as some new API for configuring trick-mode playback. New API was introduced to select decoding of keyframes only, or disabling of audio. For much-faster-than-realtime playback this reduces the required processing power and especially makes it possible to reach higher playback rates on embedded devices. Support for this new API was added to the gst-libavvideo decoders and the MP4/QuickTime (qtdemux) demuxer. For the latter this also greatly reduces the input data bandwidth, as the demuxer now can skip over data that is not required. Audio decoders will automatically skip decoding if trick mode playback without audio has been requested (only in fast-forward mode so far), and send GAP events instead of decoded audio. Support for reverse playback is now implemented for stand-alone audio files, e.g. MP3, FLAC and AAC, which are not wrapped in a container like MP4 or Matroska. Streams with initially negative DTS are now properly handled by most muxers and demuxers. 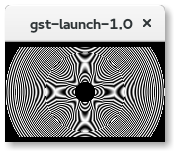 As GStreamer timestamps are positive value, GstSegment offset has been implemented to represent these negative values by simply pushing forward the timestamp. This came with new APIs. 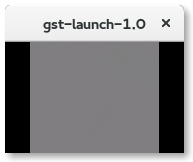 Notably gst_segment_to_running_time_full() was added to allow to get the running time of a timestamp that is outside the segment boundary. There is also gst_video_encoder_set_min_pts() which makes it easy for encoders to shift forward the segment and avoid negative values. The GstCollectData type of GstCollectPads has been extended to hold a gint64 copy of the running time DTS so muxers can account for it. Note that the x265enc H265 encoder is not fixed in this release. This will likely happen in a minor release update later. A generic video conversion function was added to the video library. This function performs internally what videoconvert and videoscale used to do along with some nice new enhancements. While the code of the 1.4 videoconvert element was moved into this new converter library without many changes, the videoscale code was completely rewritten from scratch to allow more optimizations and more kernels. The 1.4 videoscaler only supported a couple of formats and when using the lanczos filter, even less. The new scaler uses the video pack/unpack functions to handle all supported formats. Thats more than 8 times faster just because we can avoid conversions. A new scaler algorithm based on cubic interpolation has been added. This scaler can be configured with 2 parameters and there are some common configurations available as defaults. This adds support for some common scaling filters such as Hermite, Spline, Catmull-Rom, Mitchell and Robidoux. Both are using linear interpolation but the 1.6 version can use more than 2 taps to create a much smoother output image. The lanczos scaler is also no longer experimental in 1.6 and works correctly in all cases now. In 1.4, nearest and linear had some ORC optimizations for some formats. In 1.6 there are ORC optimizations for all formats and all scaling algorithms. All scaling operations with 4 or more taps are much faster than before. The video converter will now also be smarter about selecting whether to first scale in the horizontal or vertical direction. This can be quite a performance improvement when changing the aspect ratio. The chroma resampler also saw some ORC optimizations for some up and downsampling operations, singifincantly speeding up those operations. The video scaler can perform chroma-up/downsampling and scaling in one operation in some cases. Support was added for configurable quantization and dithering. When going from a high bit depth to a lower bit depth, it is recommended to perform some sort of dithering to avoid color banding. The most common case is when converting an image with 24 bits per pixel to 16 bits per pixel. The Ultra-HD standard also defines a 10bit per component format that should ideally be dithered before converting to an 8bit per component format typically used for display. Which quantizes the components to 1 bit and uses bayer dithering to create intermediate colors. This can also be applied to video for some nice effects. The video converter can now optionaly apply gamma correction before scaling and colorspace conversion. Theoretically, scaling and color conversion should be performed on linear light for optimal results but for performance reasons this is often ignored. The color bands on the 1.4 image are caused by inaccurate scaling coefficients. Gamma decoding requires the scaling and color conversion to be done in a higher bit depth and stops us from combining the YUV to RGB and color conversion matrices in one operation. It is therefore much more expensive and is therefore disabled by default. While performing conversion and scaling, the image can be padded with borders or cropped. When the output image has alpha, you can choose to set the alpha to a fixed value or copy the alpha (if the input has alpha). It's also possible to multiply the input alpha with a fixed value and copy that in the output. This makes it possible to replace the code in at least videocrop, videobox and videoscale with the new converter. Some of the functionality of the alpha element can also be implemented. The newly rewritten conversion core operates on scanlines to maximize cache locality and would allow us to run the conversion in multiple threads later. 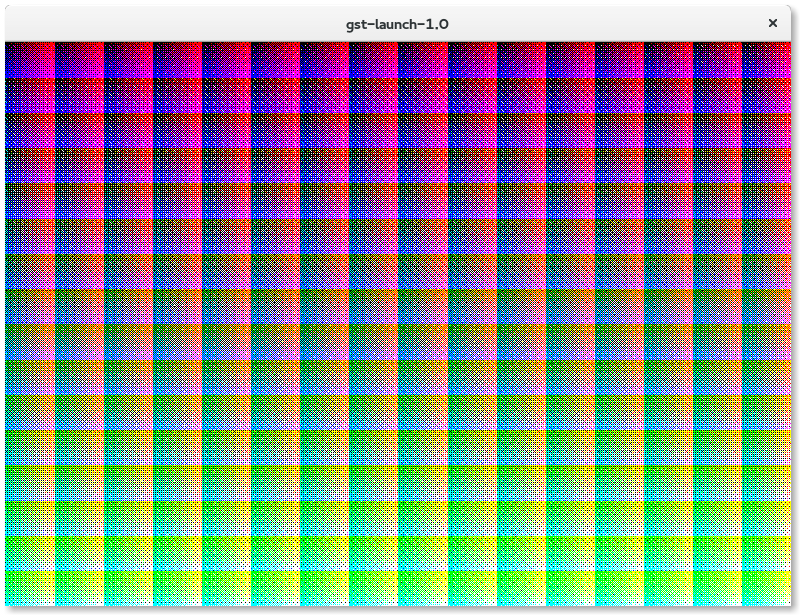 3) convert to RGB: this transforms Y'CbCr into R'G'B' using the input color matrix. 6) convert between colorspaces: converts between the different RGB colorspaces. The different colorspaces are connected to eachother using the CIE XYZ colorspace. 7) do alpha channels: adds and aplha channel or copy/multiple the input alpha with a constant alpha. 10) convert to Y'CbCr: convert R'G'B' to Y'CbCr using the output color matrix. Depending on the options that are selected, many of these steps can be merged into a single step, such as 3), 6) and 10); when there is no scaling or gamma correction, these 3 matrix multiplications are merged into 1. Many specialized functions exist and optimizations are done to minimize the number of steps need to perform a conversion. V4L2 source can now renegotiate its format without restarting the pipeline. To do that, the element will request and wait for the pipeline to return all buffers to its bufferpool. After that, it can destroy it, set a new format to the device and then create a new bufferpool, allowing it to restart capturing using the new requested format and resolution. With this feature, an application can now switch the resolution at run-time, without having to stop the source. Support for colorimetry has been added. This enables correct colors to be displayed. More Bayer formats are now supported along with many stability fixes all over the shared V4L2 code. When recording a stream one often wants to regularly split the recorded stream into smaller chunks instead of having one very large output file. This might be in order to avoid filesystem limitations (e.g. 2GB limit on FAT32), to make the output more managable, or simply because the recording never ends (such as with CCTV security feeds). It's always been possible to do that with GStreamer, but it's always been a less than perfect affair, or more involved than it should be. Just setting a new filename on filesink is not possible while the pipeline is running, one needs to shut down filesink, change the filename via the location property and then start it up again, and also block the data flow via pad probes to make sure that the upstream element doesn't try to push on the filesink whilst it is in the wrong state, because that would make the pipeline stop (pushing on a pad or element that is not active results in a FLOW_FLUSHING flow return which will make upstream elements stop streaming and shut down their threads). On top of that one would also have to keep track of how much data is being written, in order to know when to switch to the next file. All doable, but clearly rather involved. And this does not even make sure yet that all files start with a keyframe, for example. An easier solution was to use the multifilesink element, which can switch to another output file on the fly independently and can be told when to switch to the next file, e.g. by specifying a maximum file size in bytes. This approach had a couple of problems: for one, it can only switch to a new file based on a file size limit, not a maximum duration limit; it will not take care to make sure that each new file starts with a keyframe; and it only works with streaming formats such as MPEG-TS, MPEG-PS, Matroska/WebM, or Ogg. Such streaming formats basically have a header at the beginning (or repeated in regular intervals) that can be written ahead of time, and is then followed by some stream payload data. The stream payload data does not have to be the first data produced, as long as the receiver has the headers it's fine to start in the middle of the stream. In GStreamer such headers are signalled in the caps via the "streamheader" field, and elements such as multifilesink or tcpserversink can then write them at the beginning of a new file or send them first thing when a new client connects to the server, before writing any actual video or audio data. Some of these problems with multifilesink have been fixed in 1.6 now: multifilesink can now be made aware of GOPs using the new 'aggregate-gops' property and will ensure GOPs aren not split accross files. Together with the 'max-size' and 'max-duration' modes this can be used to generate a sequence of properly muxed files of the desired size based either on file size or duration now. All this still does not work for non-streaming container formats such as the classic MP4/QuickTime format in the non-fragmented variant, however. Unlike streaming container formats, MP4 files are structured in such a way that a stream can't just be split up into file parts with a repeated header. Each individual file part needs to be finalised explicitly to make sure a proper header with sample tables is written out. This can't be done with multifilesink. Enter the new splitmuxsink element. splitmuxsink allows for easy chunking of MP4, Matroska, MPEG-TS or Ogg files, in such a way that each file part can be played back on its own and starts with a keyframe, taking care of everything for you. Each file output will be a self-contained valid MP4 file that can be played by itself, and each file will start with a keyframe. splitmuxsrc will then play back a number of files split with splitmuxsink in such a way that it is completely seamless and there are no glitches during transitions from one file part to the next. This is not as easy to accomplish as it sounds, since audio will usually be encoded and such encoded audio frames can't be split across files and will usually not line up perfectly with the start and end of video frames. This means that in each file part the audio will usually start either just a little bit later than the video or vice versa in order to maintain perfect audio/video sync. splitmuxsrc will make sure to recombine the streams from the individual file parts again in such a way that they will be perfectly seamless. Of course it is possible to seek or do fast-forward/fast-reverse playback with splitmuxsrc as well. GStreamer has gained a new generic API to signal content protection (DRM) information between elements such as demuxers and decryptors. This API is very generic and the details of how it is used varies depending on the protection scheme used. The new API consists of protection events for general setup information and a protection meta that can be attached to individual buffers with buffer/sample-specific information. This new API was then used to implement support for DASH Common Encryption (CENC) in dashdemux and qtdemux. This should also cover the Common File Format (CFF) which is used e.g. by the UltraViolet format. PlayReady support is also in the pipeline. It should be noted that GStreamer does not ship any elements to do the actual decryption nor does it integrate with any DRM system, that is left to device vendors and system integrators. It simply provides the infrastructure and signalling now to make it easy to add such elements. HLS, DASH and Smooth Streaming support were majorly rewritten and now share the same codebase, allowing easier maintenance and uniform operation. This new version is more robust and reliable than ever, additionally covering more features from their individual specifications. Live playback support was improved, more profiles are handled, some trick modes are supported, better report of network statistics as well as connection reuse for faster downloads. The GStreamer DASH client is now capable of handling common encryption (CENC) if suitable decryption elements are present. Clock synchronization between DASH client and server was also improved: support was added for DASH UTCTime live-stream clock-drift handling, including support for NTP variant, leading to claims that "GStreamer now probably got the most complete clock drift implementation of any DASH client". HLS, in specific, has a better timestamping in this version, preventing some stalls, and also supports seeking in live streams for the range of segments available in the server. DASH also supports seeking in live streams now for the timeshift range present in server. GStreamer has had support for both providing and slaving to a remote network clock for a very long time using the GetNetTimeProvider and GstNetClientClock API, which implements a custom protocol to sync the clocks of multiple pipelines and provide for synchronised capture or playback across multiple devices. The 1.6 release now adds support for network clocks based on the Precision Time Protocol (PTP) and the good old NTP protocol. These clocks can be set on a pipeline so that the pipeline is slaved against an external time provider. PTP is part of a few broadcasting and professional media standards, such as AES67, RAVENNA, AVB, SMPTE ST 2059-2 and other inter-device synchronization standards. See Sebastian's blog post about PTP network clock support in GStreamer for more details. All netclocks, including the existing net client clock, have much better filtering for irregular measurements now, improving accuracy a lot. This also helps keep multiple devices in sync when the time provider disappears over longer periods of time, e.g. due to a network outage. The netclocks can now also post statistic bus messages and discont limits to a GstBus if requested. In the case of network clocks, it might take a while until these clocks are properly synced up with the remote clock. Applications may want to wait for those clocks to be in sync before using them. Such clocks are flagged with the GST_CLOCK_FLAG_NEEDS_STARTUP_SYNC now, and applications can wait for the clock to be in sync with gst_clock_wait_for_sync() (this will block), check sync status with gst_clock_is_synced(), or wait asynchronously for the "synced" signal of the clock to be emitted. You can create an NTP clock with gst_ntp_clock_new() and a PTP clock with gst_ptp_clock_new() . textoverlay can now render subtitles in a resolution suitable for the output window or surface when glimagesink or gtkglsink are used. So far the resolution of the rendered text always depended on the resolution of the video stream, which resulted in bad and pixelated text subtitles for lower-resolution video streams. Now the video sink window size is propagated upstream for better subtitle quality and the subtitles can be rendered and displayed at a higher resolution than the underlying video. This is implemented in glimagesink and gtkglsink so far. This is currently limited to textoverlay, though we expect more renderers to provide high resolution subtitles in the future. textoverlay rendering code has also been partially re-written and now properly calculate the text bounding boxes. This means, there will no longer be part of your text clipped because you added a shadow or a larger outline. GStreamer's RTP and RTSP stack saw numerous improvements during the 1.6 development cycle. The RTP/RTCP session management now implements correct RTCP packet scheduling according to RFC4585, which is especially noticeable in the cases of early feedback reporting. This allows receivers to notify the sender about corrupted data, missing packets or request keyframes even earlier than before, and should improve the media transmission a lot in these situations. Additionally support for reduced size RTCP receiving was implemented, which allows feedback to be sent even more often. Sending support for this is planned for the 1.8 release, with patches already available in Bugzilla. This should also cause great improvements for WebRTC usage. The RTSP server and client both support RTP retransmissions (RTX) according to RFC4588 now. In situations with packet loss this can allow the media transport to mitigate the packet loss without affecting the quality of the media. This was previously supported in 1.4 for custom RTP usage, but this is now automatically supported with RTSP. Additionally there were many bugfixes related to retransmissions. This will be further improved during 1.8, with some patches already waiting in Bugzilla. Usually RTSP servers serve media to be played back by the connecting client, and that's a use case GStreamer's RTSP server has been handling well since the very beginning. The RTSP protocol also supports clients sending data to the server, however, via the RECORD request, which is now also supported in the server. You can find examples of how to use it in the example directory of the source tree. On the performance side, sending RTP media with GStreamer should be more performant now with more widespread usage of buffer lists on the sending side and sendmmsg() support in the UDP sink elements, but also lots of smaller improvements everywhere. Apart from that there were many other changes related to RTP and RTSP, for example there is a H.265/HEVC payloader and depayloader now, support for the ONVIF metadata RTP extension, support for SRTP/DTLS and in general lots of robustness improvements and bugfixes all over the place. Seeking was only partially working for years using GStreamer RTSP client. In 1.6, the seeking code has been reviewed and fixed. Notably, lost frame issues has been addressed and playback position is now correctly reported. Unlike streaming container formats, classic MP4/QuickTime files in the non-fragmented variant are structured in such a way that if writing is suddenly interrupted, the resulting files will be unreadable and the data can not be easily recovered. Only once all headers and sample tables have been written out at the very end can a player make sense of an MP4/MOV file. GStreamer has had a way to deal with this problem for a long time in form of the "moov-recovery-file" property that saves all the important header data to a separate file in regular intervals. In case writing was interrupted, it was then possible to recover the data using the qtmoovrecover element which creates a new valid MP4 file from the written data and the saved header data. This is rather cumbersome though and requires manual or semi-manual intervention. In this release, the MP4/MOV/QuickTime muxer elements (mp4mux, qtmux) have acquired a new "robust" mode of operation which attempts to keep the output file in a valid state at all times. This is achieved by reserving some space for all the headers at the beginning of the file by setting the "reserved-max-duration" property on the muxer. In fact it will reserve enough space for two complete headers, and simply sets the references at the very beginning of the file to point to one of the headers while it works on updating the second header in the other reserved region. The interval for ping-ponging the headers can be set using the "reserved-moov-update-period" property, and the heuristics to estimate the disk space to reserve can be fine-tuned using the "reserved-bytes-per-sec" property. This mode requires that the downstream sink is seekable (such as filesink), and the muxer will error out if that is not the case. The implementation still leaves some room for optimisation - one could minimise the bandwidth needed for updating the headers by only sending the data that actually changed since the previous update, and structure the header tables in such a way that the diffs will be minimal, but all of that is not implemented yet. 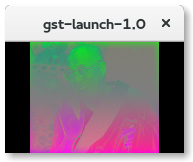 It also makes certain assumption about how data will be written out (no re-ordering for example), and that the new GST_BUFFER_FLAG_SYNC_AFTER flag will be honoured. The GstAggregator base class that was introduced in 1.4 saw many improvements since then. It is used currently by all (new) mixing elements for raw audio and raw video: audiomixer, compositor, glvideomixer and the new audiointerleave element. In the future it will also be used by muxers. One of the biggest improvements since 1.4 is that GstAggregator has now support for live mixing, something that was never supported well before in GStreamer. In live pipelines, mixing now happens based on a deadline instead of waiting until data for a specific output time is available. For live pipelines, this ensures a guaranteed latency and especially that input streams that have no data for a while will not take down the whole mixing process until they have data again. As part of this, it was also necessary to implement queueing on the sinkpads of GstAggregator based elements to ensure that data is always available for mixing and not blocked on previous elements and not arriving in time just because of thread scheduler jitter. During the implementation of the live mixing support, a few bugs in the synchronization code in the base class and various elements was noticed and fixed on the way. As a result the mixing should be much more optimal also for non-live pipelines now. With this, the liveadder element from gst-plugins-bad is deprecated and audiomixer should be used instead. Compositor had had support for accepting raw video inputs in arbitrary formats for a while (i.e. formats other than the negotiated output format), and internally converts to the output format. This is required to avoid negotiation and renegotiation races with multiple inputs. It now also supports resizing of the input video streams on the fly thanks to the new GstVideoConverter helper in the gstvideo library. Each input can now be individually rescaled (and positioned) via pad properties. A new audiointerleave element was added, which shares a lot of code with audiomixer. It does the same as the existing interleave element, that is: it accepts multiple mono streams as input and converts them to a multichannel output stream. Different to interleave, this element implements proper synchronization. Synchronization was not implemented at all in the old interleave element. This situation is similar to audiomixer and adder, the latter having no synchronization implemented at all. Both adder and interleave should not be used in new code anymore. The DeckLink capture and playback cards by Blackmagic Design are widely used for audio/video signal capture and output (HDMI/SDI/etc.). GStreamer has had support for these for a long time, but while it worked fine in general it's never really been up to scratch for professional requirements and many advanced use cases. In this cycle the decklink plugin was completely rewritten. There are now four instead of two elements: decklinkvideosrc, decklinkaudiosrc and decklinkvideosink, decklinkaudiosink. Previously the audio and video variant were a single element. As a side effect, it's possible to use the sinks with playbin now, and it also allowed us to rebase these elements on top of the standard GstBaseSrc/Sink base classes. To use these elements, it is required that the audio and video variant on the same decklink device is inside the same GstPipeline, and if audio is used video must also be used. The latter is a constraint of the decklink driver. Each of the elements now exposes a GstClock that is based on the hardware clock. All frames that are produced/consumed are timestamped based on this clock, and if the pipeline clock is a different one, proper clock slaving is done. This makes sure that everything is properly synchronized, especially for the video sink where now GStreamer gives the frame to the hardware in advance, and the hardware ensures that a frame is shown at the right time. As another result of this change it's now also not required anymore to use videorate in front of the video sink as framerate adjustments are happening inside the hardware now. Additionally lots of new modes are supported now, including 2K and 4K modes, mode auto-detection is implemented for the sources and lots of smaller and bigger bugs were fixed. The new elements are known to work on Linux and Mac OS X and should also work on Windows. KLV (Key-Length-Value) is a generic way of coding information which is widely used for metadata in a wide range of use cases. It is defined by the Society of Motion Picture and Television Engineers in SMPTE 336M-2007 and used in broadcasting as well as many other standards, including many STANAG standards and Motion Imagery Standards Board (MIBS) standards such as MISB ST 0601.8. The MXF container format also uses KLV heavily. In this cycle GStreamer has gained basic support for processing KLV metadata. In particular, a KLV RTP payloader and depayloader were added, as well as support for muxing KLV metadata into MPEG-TS and demuxing it from MPEG-TS (this only covers the non-synchronised variant so far). GstMetas attached to buffers are now passed through in more situations by encoders, decoders, filters, parsers, payloaders, depayloaders and other elements. Before metas attached to buffers would be dropped very easily. The tee element has a new "allow-not-linked" property that allows you to have a tee without any output pads or a tee where all output pads are not-linked. Before it would error out if all of the pads were unlinked or tee didn't have any source pads. Having unlinked pads should always be fine as long as there are still other linked pads, but sometimes it's more convenient when building dynamic pipelines to simply keep an unlinked tee element around for later use. There's a new ignoreerror element to suppress/transform flow errors in sub-branches of a pipeline, which makes it possible for example to remove or restart a misbehaving network sink without stopping the rest of the pipeline. Without this, a sink that errors out would return a GST_FLOW_ERROR to the upstream elements which will make the pipeline stop and error out, and there was no way to intercept this GST_FLOW_ERROR. The new concat element allows for seamless concatenation of input streams. streamiddemux is a new element that does the opposite of the funnel element, it splits streams again based on the stream id in the stream start event. New socketsrc element to read data from an user created GSocket. splitmuxsink allows for easy chunking of MP4, Matroska, MPEG-TS or Ogg files, in such a way that each file part can be played back on its own and starts with a keyframe, and splitmuxsrc will play back a number of files split with splitmuxsink in such a way that it is completely seamless and there are no glitches during transitions from one file part to the next. identity sync=true now works properly and can convert a pipeline branch to a live pipeline. The GStreamer VP8/VP9 video encoders vp8enc and vp9enc properly handle bitrate setting now, fixing some bugs in previous versions that would lead to degraded output in some cases. WebP encoder and decoder elements were added. WebP is an image format based on coding techniques from the VP8 video codec. The vcdsrc element was ported to 1.0, enabling playback of VCD video discs. A new audio effect element based on the bs2b library was added. Another H.265/HEVC video decoder based on the libde265 library was added (in addition to the avdec_h265 H.265/HEVC video decoder that ships with gst-libav). The openh264 plugin provides an H.264 decoder/encoder based on Cisco's OpenH264 project. appsrc now handles caps changes properly: caps changes will be properly serialized with the data flow (i.e. buffers pushed into appsrc) now. Tag handling has been fixed in parser and audio/video decoder base classes so that subclass stream tags are properly merged with any upstream stream tags and the stream tags sent downstream always reflect the complete current set of tags. Many elements (filesink, fdsink, multisocketsink, multiudpsink) handle buffers with multiple memories more efficiently in many places, using writev(), sendmmsg() etc. to avoid merging them into one continuous buffer before writing/sending the data out. mpegtsmux now outputs a buffer list in many cases, instead of pushing one buffer downstream for every 188-byte MPEG-TS packet. This may affect you if you have buffer pad probes set up but not also a buffer list probe, your probe may no longer be fired in that case if now a buffer list is produced instead of single buffers. This especially affects mpegtsmux in combination with various sinks. The new elements gtksink and gtkglsink integrates rendering of video frames inside a Gtk+ application using either Cairo or OpenGL. The new element qmlglsink integrates rendering of video frames into a qml scene in a Qt application using OpenGL. The new element caopengllayersink integrates rendering of video frames into a CALayer scenegraph available on the Apple platforms, OS X and iOS. The new dtls plugin adds GStreamer support for the Datagram Transport Layer via OpenSSL. It allows GStreamer pipelines to send or receive encrypted data via datagram protocols like UDP, and additional elements are provided on top of this to allow easily integrate this with the already existing SRTP elements. SRTP/DTLS is a requirement of WebRTC. The new x265 element integrates the x265 H.265/HEVC encoding library into GStreamer and provides fast and high quality H.265/HEVC encoding. The new rtph265pay and rtph265depay elements implement RTP payloading and depayloading for H.265/HEVC. In the quest for performance and a more modern API, we have been implementing OpenGL 3 support in the GStreamer GL library and in various elements. Newer OpenGL versions not only allow more functionality, they also provide various performace optimisations that can be utilised. One such optimisation is the use of Pixel Buffer Objects (PBO's) allowing asynchronous transfer operations that can increase data transfer throughput. With this asynchronicity, we require the ability to be able to synchronise at certain points in order to prevent data races. 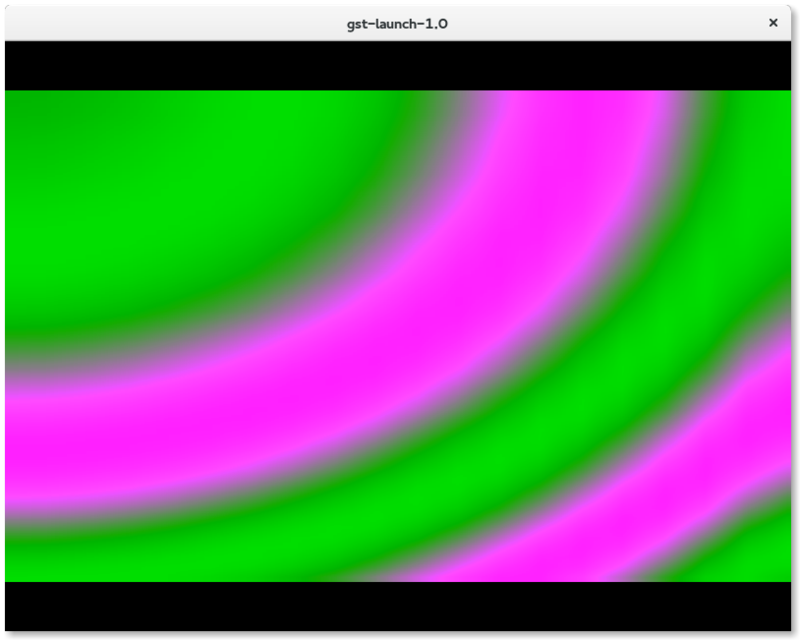 Currently provided by a GstMeta, the GstGLSyncMeta provides the required synchronisation through OpenGL Fence objects where available with a fallback to glFinish. There were also improvements in the integration with both sharing OpenGL context internally as well as with external OpenGL contexts. The gst_gl_context_get_current*() family of functions provide a simple way to retreive the required information to wrap an existing OpenGL context created/managed by the application or another library/toolkit. They provided a simple interface that was instrumental in creating a number of GL elements that integrate with various toolkits. Sharegroups were also exposed as a notion to distinguish between contexts that are shared and those that are not. Shareable OpenGL resources can then be shared as-is between contexts or transferred with some other mechanism. For example, GstGLMemory will have to download and reupload the data when unable to share between two OpenGL contexts. The upload, conversion and download operations were also split up to provide some more fine-grained control over the exact OpenGL operations used in the pipeline. With some more improvements relating to the selection/use of OpenGL contexts, it should be possible to overlap GL operations with the other transfer operations on certain hardware. In order to limit the visible change some bin elements that incorporate the required glupload/glcolorconvert/ gldownload elements in the correct places. These elements are glsrcbin for src elements, glfilterbin for filter elements, glmixerbin for mixer elements and glsinkbin for sink elements. The infrastructure required for multiview support was implemented and specific elements to manipulate and display stereoscopic 3D streams. New elements glstereosplit, glstereomix and glviewconvert library object are the culmination of this effort in the GStreamer GL stack. glviewconvert provides the necessary conversion between the different layouts possible with multiview content. A refresh was made to the way that OpenGL contexts and Window system displays were shared between elements and the application. Everything now attempts to use the GstContext infrastructure and guidelines to share the required information, providing a more uniform API to applications that are aware of the information. This allows the OpenGL context to be propogated across tee elements which the previous solution using the ALLOCATION query did not allow. glimagesink now implements support for GstVideoOverlayComposition providing efficient usage of bitmap buffers (typically subtitle text or logos to be blended on top of a video) that are overlayed on top on a glimagesink output. A helper object was created that can be easily used in other GL based sinks. This is particularly useful when using hardware-accelerated video decoders and outputting the video using an OpenGL capable video sink. The subtitles can now be displayed without the performance penalty of downloading the pixels from the GPU, blending the subtitle overlay and re-uploading them to the GPU for display. A number of sinks were implemented based on the GStreamer GL stack. qmlglsink which allows integration with the qml scene graph, gtkglsink allowing integration with the Gtk+ toolkit and caopengllayersink with OS X's CoreAnimation framework. See gtkgst: video in your widgets for an overview of the gtksink and gtkglsink. There are also some example applications available here: gtk and qml for the gtk and qml sinks respectively. The gst-libav module, which provides software codec implementations for a vast number of common and uncommon audio and video formats, switched back from libav to ffmpeg as libav provider following recent distro trends. The module will continue to be called gst-libav and the element names will not change and keep their av* prefix. This change should be entirely transparent to users, but if you notice any regressions caused by this, please let us know. Support for the Chinese AVS (CAVS) video codec has been enabled (also in tsdemux). The gst-libav video decoders support the new 3D/multiview video signalling API (caps) and will pass through such information from upstream parsers and demuxers. They also support the new trick mode API to select keyframe-only decoding or skipping of non-reference frames, whilst also gaining support for 10-bit planar AYUV output formats. avdec_aac is now the prefered AAC audio decoder (instead of faad). GstHarness is a new convenience API for writing unit tests. It is still quite low-level (compared to gst-validate), but still higher-level and more convenient than the existing API in libgstcheck. GstHarness is meant to make writing unit test for GStreamer much easier. It can be thought of as a way of treating a GstElement as a black box, deterministically feeding it data, and controlling what data (buffers, events) it outputs. This can be combined with the use of a GstTestClock to make time pass deterministically. Watch Havard Graff's talk about it from the last GStreamer Conference for more information. The ges-launch-1.0 tool interface has been changed to be simpler to understand and more powerful, allowing people to describe much more complex timeline in a simple syntax. Layer mixing has been causing threading issues since the beginning, in the 1.4 cycle we rewrote the mixing elements to fix threading issue and GES 1.6 now uses those elements by default. The GStreamer Editing Services now integrates with GstValidate, compiling against GstValidate allows usage of GstValidateScenario to execute actions on the timeline (adding/editing/removing clips, adding keyframes.... etc) making bug reproduction and debugging much easier. A GstValidate testsuite has also been developed for GES allowing stress testing the library with high level tests. ssim: Allows running structural comparison on video frames at any point (in the pipeline as well as in time). fault_injection: Allows injecting wrong packets in the network through action types allowing to check that Gst handles those errors. GstValidate now comes with a default testsuite with many tests of various types, the testsuite runs on "each commit" on our jenkins integration infrastructure. That testsuite is implemented in another repository for a clean separation between GstValidate and the testsuites. The gst-validate-launcher now supports running the tests inside valgrind. 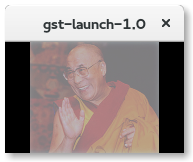 The gst-validate-launcher now supports running several tests at the same time, allowing much faster test runs. The reporting system has been enhanced to show the user only important information and display them in a user friendly way. It is now possible to override issue severity and other properties through simple text files. cerbero is a custom build too that builds GStreamer plus dependencies on non-Linux operating systems such as Windows, OS/X, iOS and Android, and produces SDK binary packages for those systems. This is needed because GStreamer depends on a large number of external libraries, all of which in turn have dependencies of their own. These dependent libraries are usually not present or available on non-unix operating systems, so everything GStreamer needs has to be pretty much built from scratch so that it can be used on on those systems. This build tool relies on 'recipes' that tell it where to download dependencies from and how to build those dependencies. This is suboptimal from a license compliance perspective, since it relies on third parties to make sure that the dependencies used continue to be provided at these locations. The new 'bundle-source' command allows users who build GStreamer and applications with cerbero for redistribution to easily create a big tarball containing the source code (and any proprietary binary object files) and all recipes required to build the selected packages or applications. The automake requirement was bumped to 1.14 and autoconf to 2.69 (note that if you try to build 1.6 on an ancient distro version and install automake from source into /usr/local and autogen.sh then complains about libtool things you may also need to install libtool into /usr/local so it can find the m4 macros required). ... and many others who have contributed bug reports, translations, sent suggestions or helped testing. More than ~1400 bugs have been fixed during the development of 1.6. This list does not include issues that have been cherry-picked into the stable 1.4 branch and fixed there as well, all fixes that ended up in the 1.4 branch are also included in 1.6. This list also does not include issues that have been fixed without a bug report in bugzilla, so the actual number of fixes is likely much higher. After the 1.6.0 release there will be several 1.6.x bug-fix releases which will contain bug fixes which have been deemed suitable for a stable branch, but no new features or intrusive changes will be added to a bug-fix release usually. The 1.6.x bug-fix releases will be made from the git 1.6 branch, which is a stable branch. 1.6.0 was released on 25 September 2015. 1.6.1 was released on 30 October 2015. This release only contains bugfixes and it should be safe to update from 1.6.0. For a full list of bugfixes see Bugzilla. 1.6.2 was released on 14 December 2015. This release only contains bugfixes and it should be safe to update from 1.6.1. Crashes in gst-libav with sinks that did not provide a buffer pool but supported video metadata were fixed. This affected d3dvideosink and some 3rd party sinks. Also related fixes for crashes when a downstream buffer pool failed allocation. Big GL performance improvement on iOS by a factor of 2 by using Apple's sync extension. Deadlocks in the DirectSound elements on Windows, and the behaviour of its mute property were fixed. The library soname generation on Android >= 6.0 was fixed, which previously caused GStreamer to fail to load there. File related elements have large-file (>2GB) support on Android now. gst-libav was updated to ffmpeg 2.8.3. Deserialization of custom events in the GDP depayloader was fixed. Missing OpenGL context initialization in the Qt/QML video sink was fixed in certain situations. Interoperability with some broken RTSP servers using HTTP tunnel was improved. Various compilation fixes for Windows. Various smaller memory leak and other fixes in different places. 1.6.3 was released on 20 January 2016. This release only contains bugfixes and it should be safe to update from 1.6.2. 1.6.4 was released on 14 April 2016. This release only contains bugfixes and it should be safe to update from 1.6.3.
audio parsers: make sure to send tags before pushing the first buffer, so all metadata is available at preroll. Fixes metadata collection in mopidy with certain FLAC files. fix crashes on newer windows versions when GTypes are passed through vararg functions as is done in souphttpsrc or during ges_init(). This would manifest itself if the application was compiled with MSVC and /DYNAMICBASE (address space layout randomization) was used. Our next major feature release will be 1.8, and 1.7 will be the unstable development version leading up to the stable 1.8 release. The development of 1.7/1.8 will happen in the git master branch. The next development cycle will be a short one: the plan for 1.8 is to get a first 1.7 development release out by December 2015 and have our first 1.8 release candidate ready in January 2016, so that we can release 1.8 in February 2016. But who knows, by the time you have finished reading these release notes 1.8 might be out already! 1.8 will be backwards-compatible to the stable 1.6, 1.4, 1.2 and 1.0 release series. Join us at the biggest annual GStreamer gathering on the planet! It's lots of fun, you get to hear what's in the works for the next cycle and beyond, you get to meet lots of great people strugworking with GStreamer, and we have of course also a huge range of topics and speakers, so there should be something of interest to everyone. The GStreamer Conference is suitable for anyone with an interest in GStreamer, whether beginner or expert or just interested to see what people are doing with GStreamer. These release notes have been prepared by Tim-Philipp Müller with contributions from Matthew Waters, Nicolas Dufresne, Sebastian Dröge, Thiago Santos, Thibault Saunier and Wim Taymans.